I rated this 6/10. 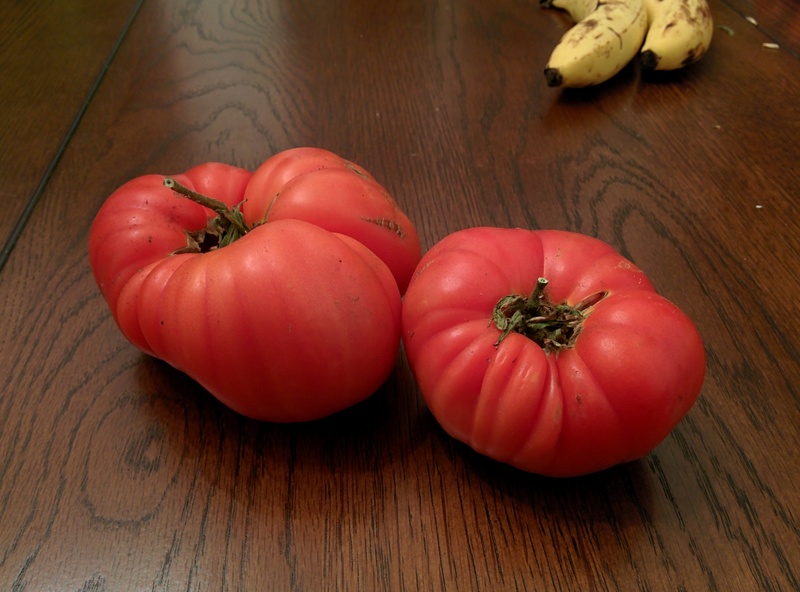 It has pinkish/red half pound fruits with very little gel, kind of mushy with a bland flavor in some tomatoes and a delicious flavor with notes of strawberry in others. Most of these tomatoes are destined for sauces, rather than slicing and eating raw. Total lifespan from seed to compost, was 178 days. From planting the seed to first pick it was 142 days. So it was a short 5 weeks we were actually picking the tomatoes, however if it were planted earlier in the year, the harvest season may be much better. 6.3 kilos in total were harvested, average weight of each tomato was 151 grams. The sizes ranged from petite to huge and the flesh was mildly wrinkled. 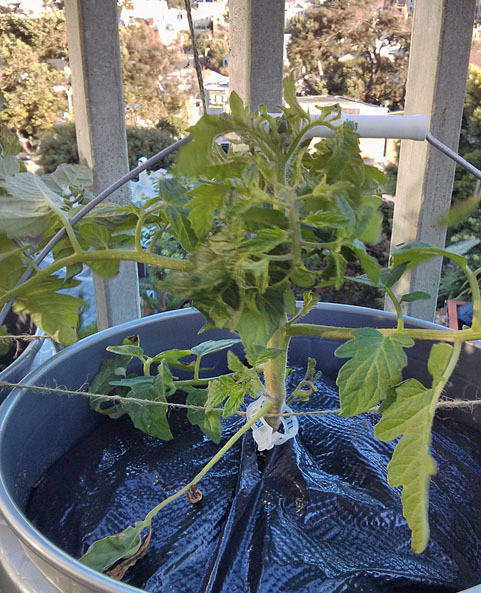 Unfortunately the supports were inadequate, and the weight of the tomatoes caused the plant to collapse on itself. 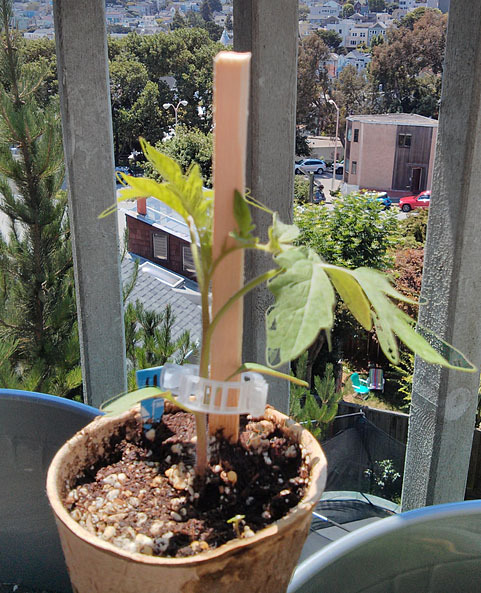 It grows very bushy, and between 4-5′. I’m not sure if I would grow it again. 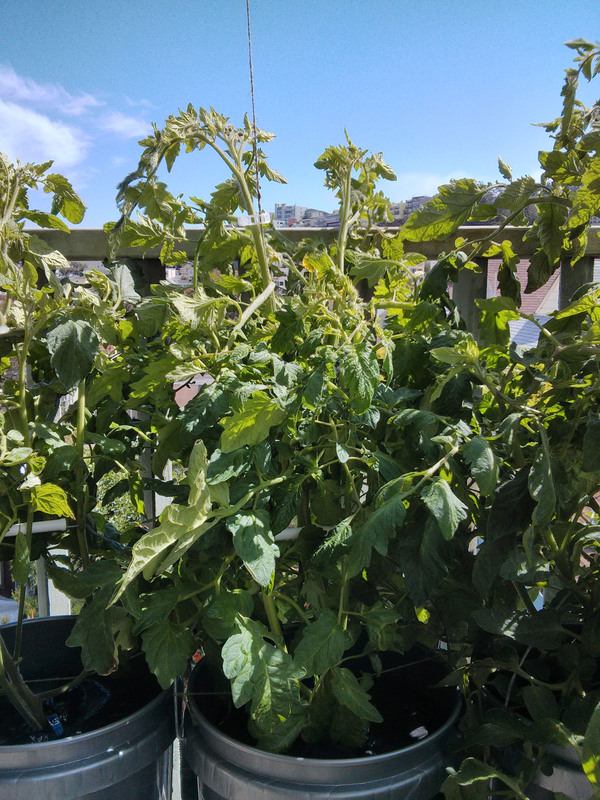 On the one hand, the overall weight of tomatoes harvested was good, on the other the breadth of the plant isn’t conducive to patio gardening.